I wonder sometimes if this is all to life, whether there’s more. And I realize there is, but there isn’t a “there, there” because that is even transformed into something else, typically unexpected. Whatever the case may be, that is my mindset when I finally visited the new SFMOMA this month. There always exist opportunities that present themselves if I keep turning the corner. 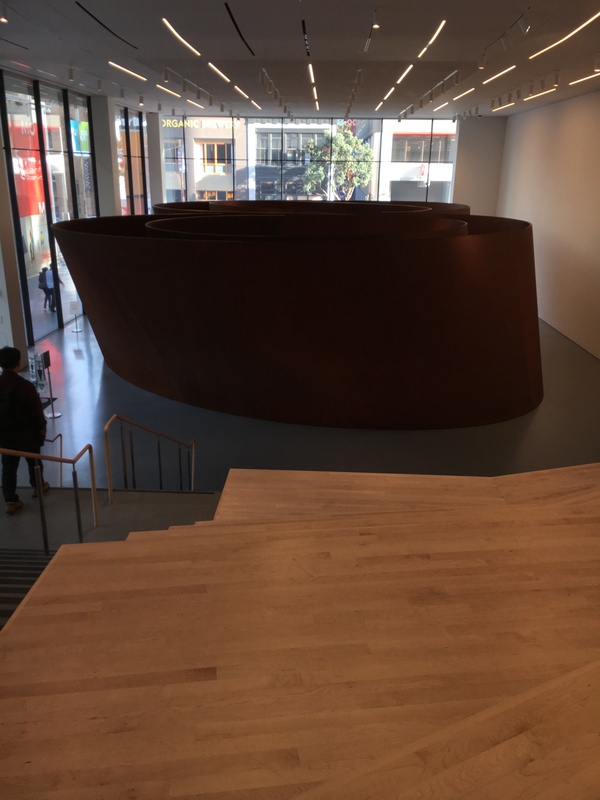 After a particularly frustrating work week, I made a beeline for the SFMOMA one Friday, which had opened after a two-year remodel. Museums can be confining, as I often found this one to be. Its expansion, however, does offer more breathing space. Minutes from closing time, I explored the free areas at lobby-level. 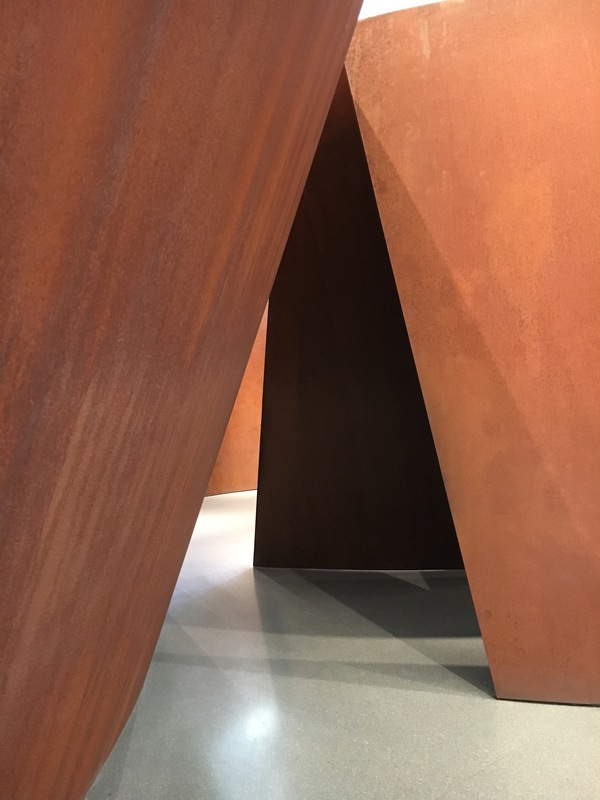 In the outset, Richard Serra’s “Sequence” at the rear looks like some big coil of teak Indonesian salad bowls that landed in its show space. However, as I navigated through them, they both are their own kind of maze and enigma of sorts. It felt like a warren of canyons that I imagine coming upon in the Grand Canyon or the lost city of Petra in the deserts of Jordan, moving deliberately between narrow walls and incisions and anticipating what might be around the bend. It was oddly liberating that while my job is becoming predictable, life is far from it. There’s no way of knowing, reminding me once again the level of uncertainly we all live. I had to get out of my head, and, like some pieces of art, “Sequence” released what was pent up: the urge to get away.